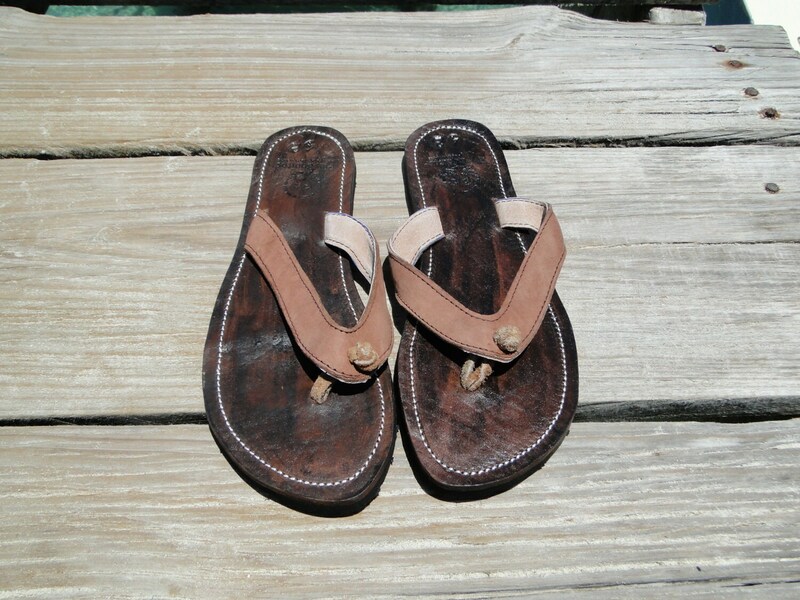 New for Summer: Another beautiful model from Pies Bonitos, a fair trade leather cooperative in Honduras providing living wages to impoverished artisans. Your purchase helps support hard working artisans rise out of poverty. Thank you for your support. We use environmentally friendly vegetable based dyes for our leather products. From time to time, you will want to polish the leather to remove scuffs and other wear marks. We include a complementary tin of matching leather polish with your order. If you wear a half size, please select the next size up to insure a good fit. 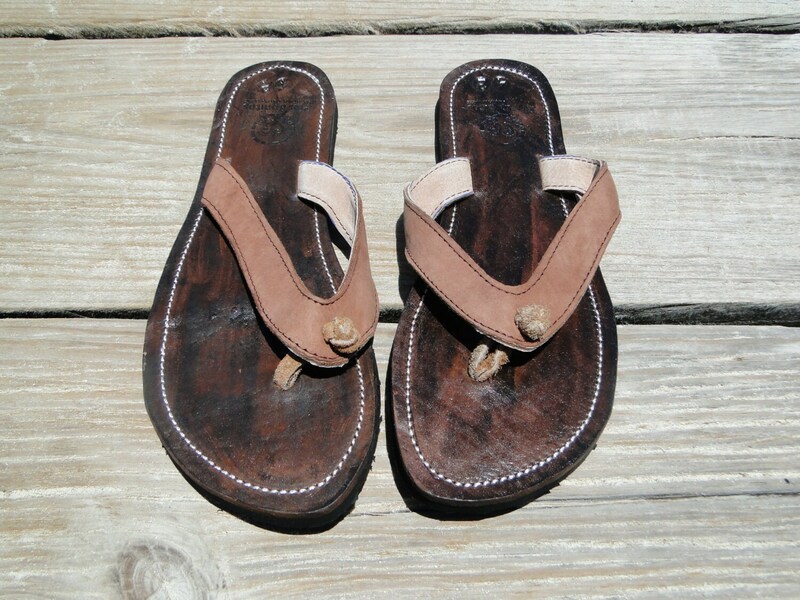 These are genuine leather sandals and they will form to your feet giving you a custom made feel. 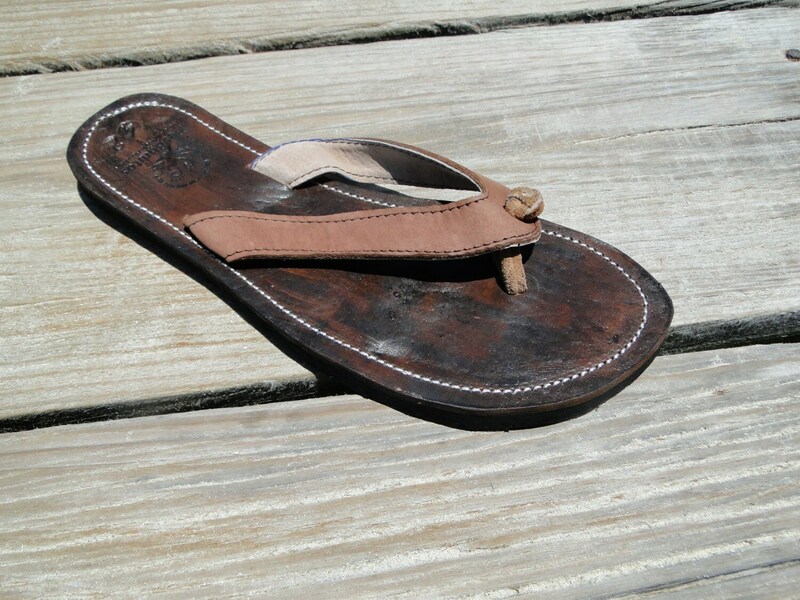 The sandals are marked with European sizes. 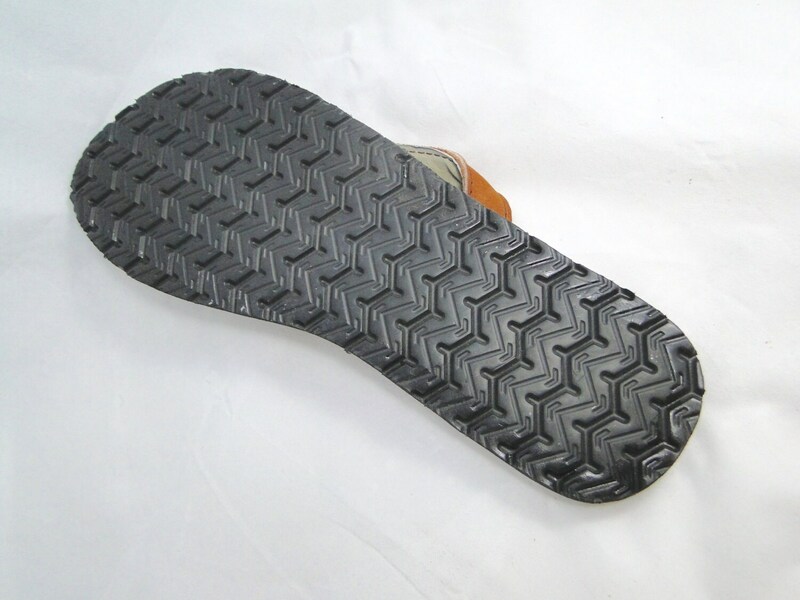 We make the sandals in 7 lengths corresponding to European Sizes 36, 38, 40, 42, 44, 45, and 46. 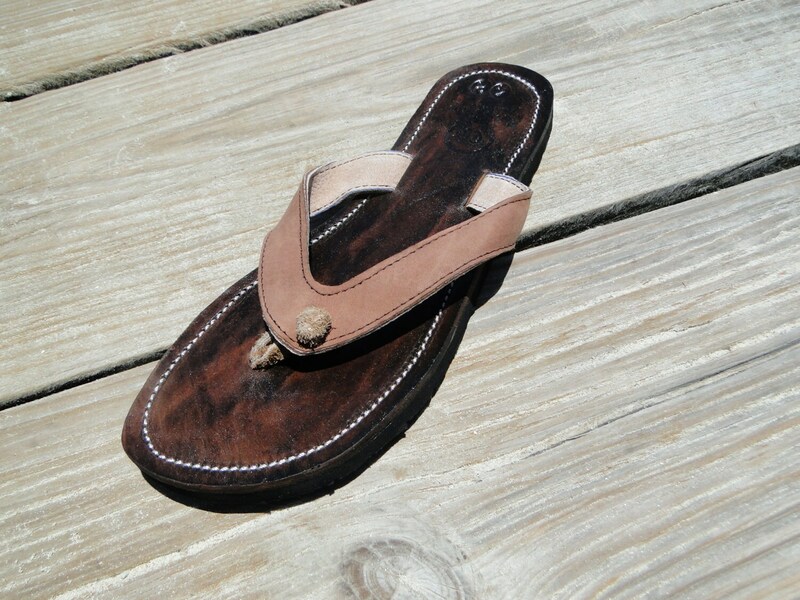 Please select your US size when you order and we will send the correctly sized sandals to you. If you need help with a shoe size conversion, please see the chart below or message us and we would be happy to help you select the correct size.